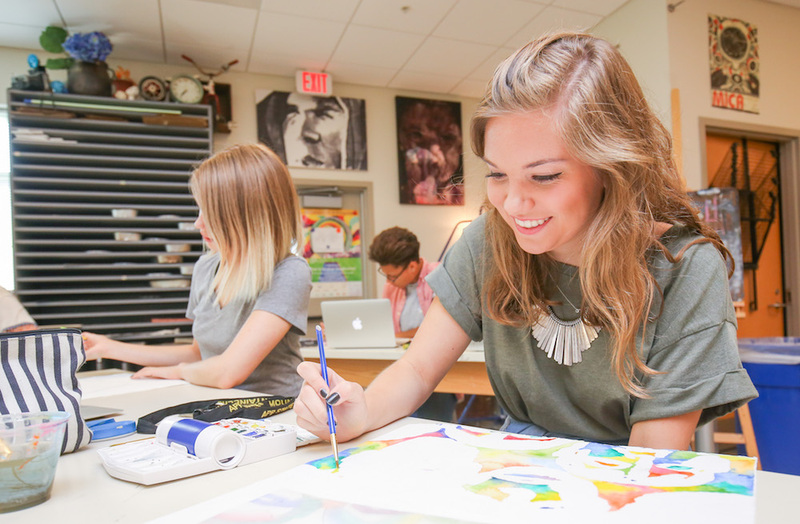 The study of fine arts is an exciting and integral part of student life at Charlotte Christian School. Our extensive award-winning program includes studies in broadcasting, music, theatre, and visual arts with opportunities for students in all grades to explore various aspects of the fine arts curriculum. We seek to instill in our students an appreciation of the arts and the desire to use their gifts all for the glory of God. Charlotte Christian’s fine arts education celebrates the unique God-given talents of our students and supports the mission of our school by training the next generation of artists to live Christ-centered lives while excelling in their chosen discipline. Expose our students to various styles, techniques, and genres within each discipline. Equip our students with information, tools, and training necessary to expand their abilities. Empower our students to showcase their developing skills and talents by honoring God through a variety of performance and presentation opportunities.